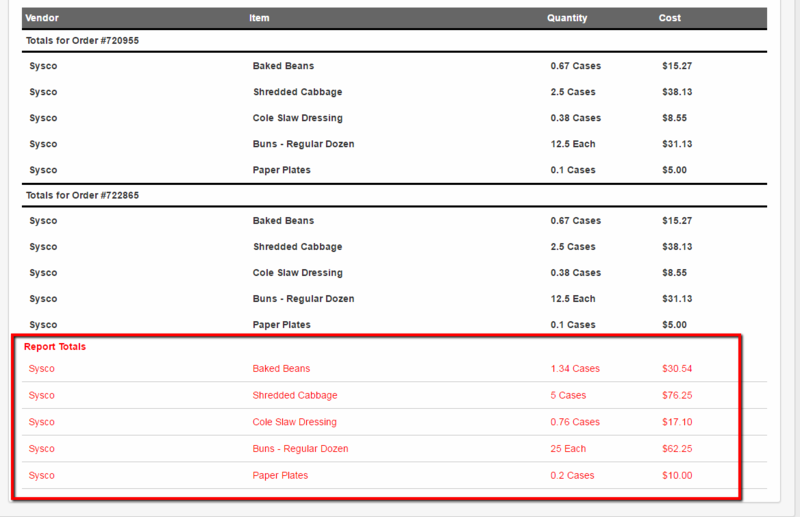 This article will go over how to print out your supplier ordering report. 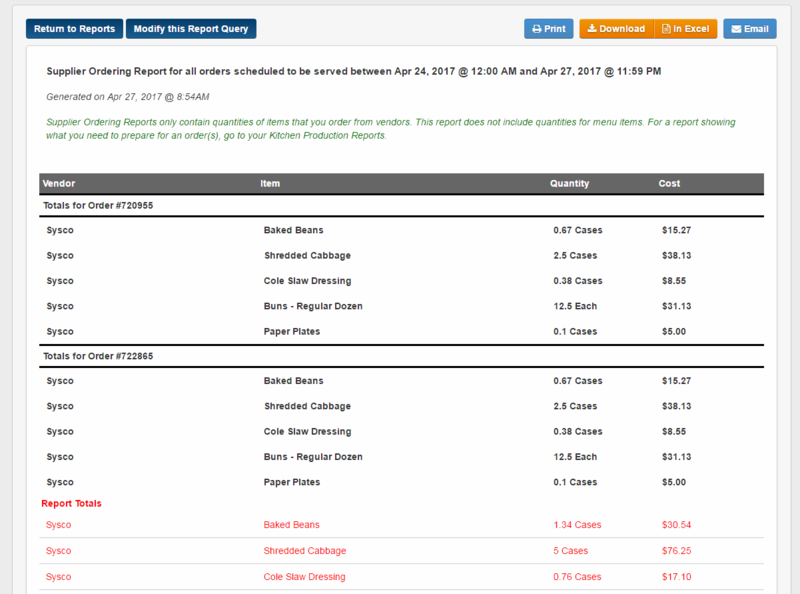 Please note that you can not print this report unless your supplier formulas have been created. 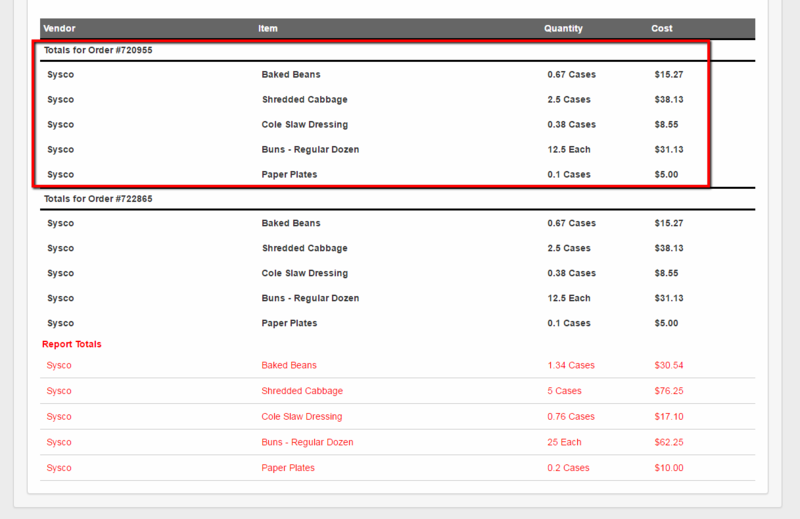 C - If you want your Food Cost Data to show Check off the box. 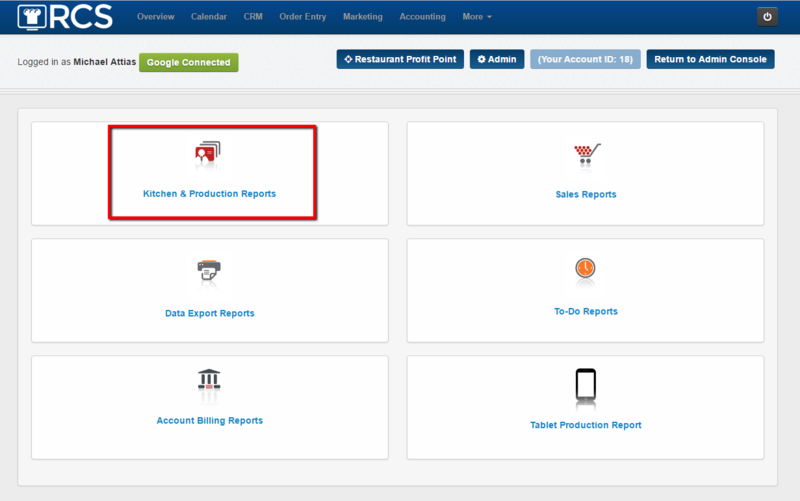 6 - Click on Generate Report tab once you have made your choices. 8 - At the top you can Return to the Report page - Modify the report you just pulled up - Print the report - Download the report as a PDF - see the report in Excel - Email the report. 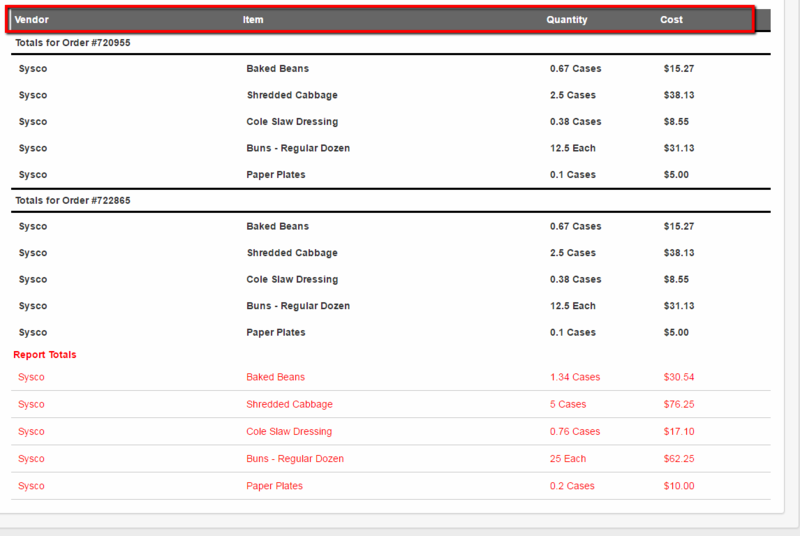 You have now learned how to print your Supplier Ordering report.